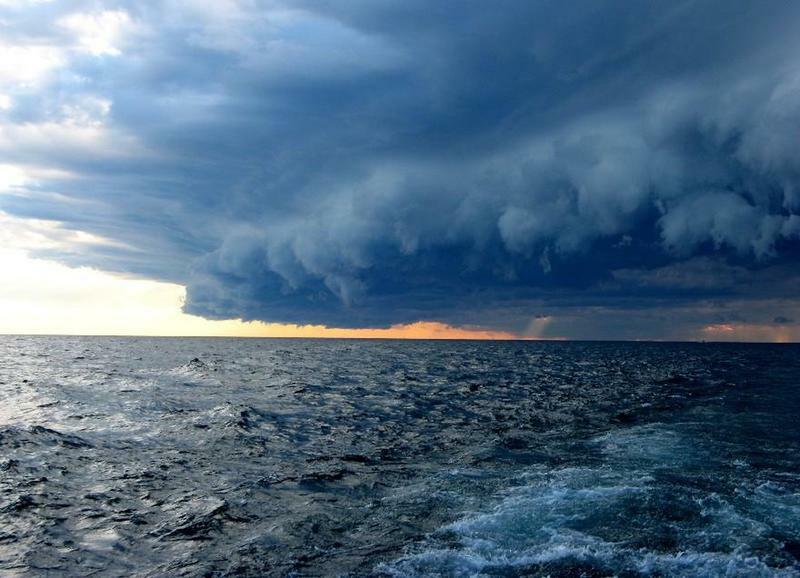 The Bermuda Triangle has cemented its status as one of the most mysterious places on Earth. Boats and planes have disappeared mysteriously from this region, and other pilots and boat captains have reported strange, unusual occurrences in the triangular area off the coast of Bermuda. 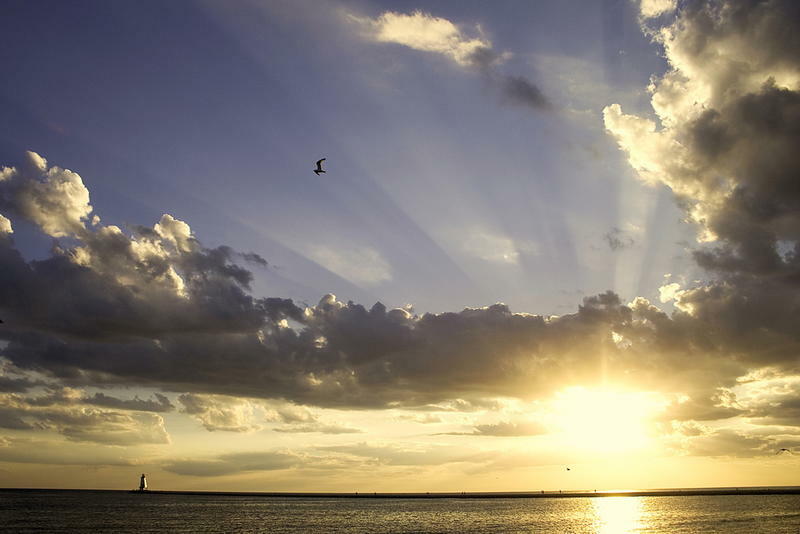 But did you know that the Great Lakes are also home to a curious and puzzling patch of water in Lake Michigan that has also been said to lure ships and planes to a watery demise? 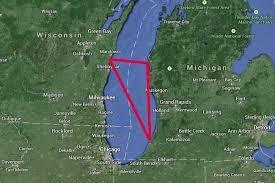 It is known as The Lake Michigan Triangle. 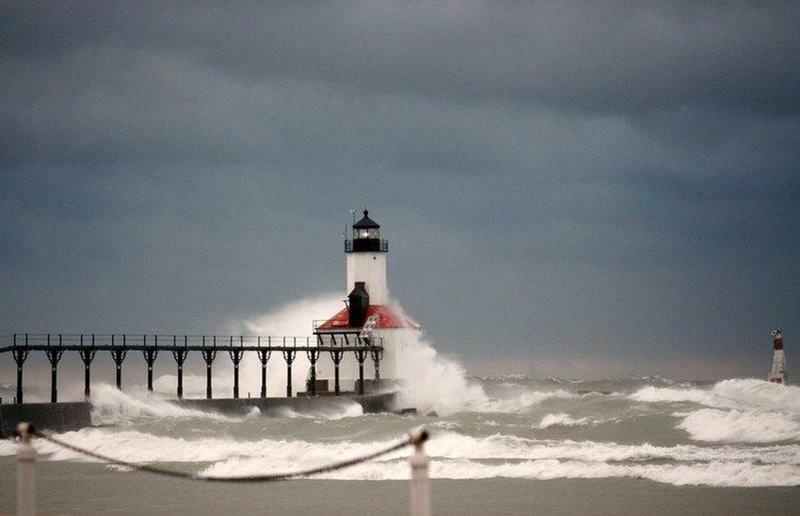 The Lake Michigan Triangle’s southern point is at Benton Harbor, Michigan. From there, one side of the triangle extends north to Ludington, Michigan, and the other crosses the lake to Manitowoc, Wisconsin. In this area of the lake … actually a large, inland, freshwater sea … people have been reporting odd occurrences for more than one hundred years. 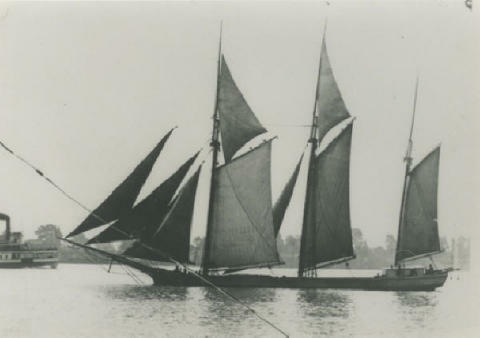 In 1891, the schooner, the Thomas Hume, set sail across Lake Michigan with a load of lumber. The ship never reached its destination. Despite being made of wood and carrying a load of wood, not debris from the schooner was ever found. The shipwreck of the Thomas Hume has yet to be discovered. It was as if the schooner simply vanished from the surface of Lake Michigan, along with its captain and seven crewmen. 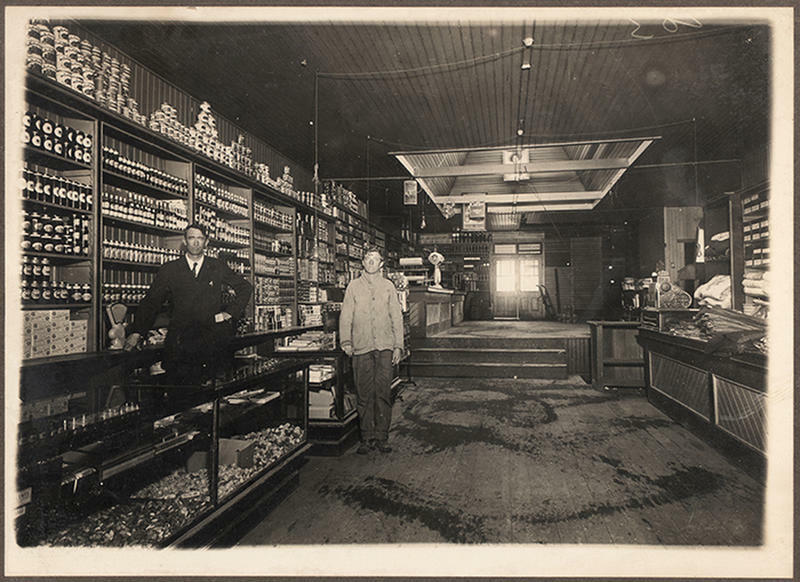 Eleven people, all members of Benton Harbor’s House of David, boarded the Rosa Belle in 1921. A few days later, the boat was found bobbing upside down in the Lake Michigan waves. There were no signs of the eleven people. The ship had damage that appeared to have been caused by a collision with another boat, yet no other boat reported an accident. In fact, no debris from another boat with found. Neither were the bodies of the eleven people aboard the Rosa Belle. If the ship did flip over in a collision, as the damage indicates, what did it hit in the middle of Lake Michigan? The mysterious and unexplained disappearance of Captain George R. Donner is among the more perplexing cases associated with the Lake Michigan Triangle. On the evening of April 28, 1937, Captain Donner safely guided his ship through the chilly Lake Michigan waters before retiring to his cabin for the night. Three hours later, a crewman went to wake the captain to let him know they were approaching the port. He found that the cabin had been locked from the inside but the captain was not inside. There was no sign of Captain Donner anywhere on the ship and no evidence that he left his cabin after going to bed. It was as though he vanished from his locked cabin. 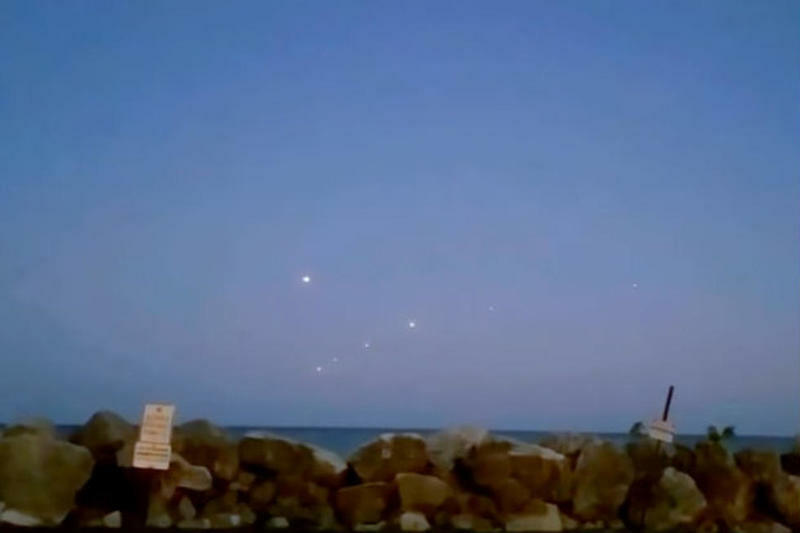 Numerous reports of strange, unexplained lights seen above the waters of Lake Michigan have added to the supernatural reputation of the Lake Michigan Triangle. Other people have reported odd and sudden weather phenomena, like rogue waves and storms that pop up unexpectedly. Still others have commented that they felt a general uneasiness from time to time when travelling through the Lake Michigan Triangle. This has led to speculation that there is UFO activity centered on the lake, or that there is a weird and inexplicable electromagnetic field in the area. There are even people who believe that the triangle is some kind of time portal or portal to another dimension. Northwest Flight 2501, carrying 58 people, set off from New York’s LaGuardia Airport in route to Seattle, Washington, on June 23, 1950. The flight path would take the plane over Lake Michigan before stopping in Minneapolis for a brief layover. As the plane entered the skies above Lake Michigan, about eighteen miles north of Benton Harbor, the pilot reported that they were encountering a strong electrical storm and he requested permission to descend to 2,500 feet. 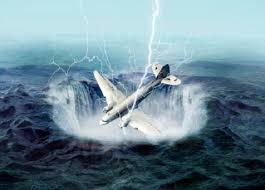 Soon after, the plane disappeared from radar screens. No wreck of the plane was found, despite search parties that dragged the lake bottom and used sonar to try to locate the plane. Oddly, about two hours after Flight 2501 disappeared from radar, two police officers reported seeing a bright red light hovering over Lake Michigan. They witnessed the strange light for ten full minutes. Does Lake Michigan Conceal North America’s Stonehenge? 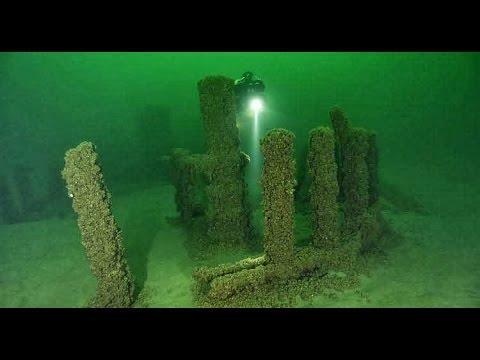 A baffling rock formation was discovered under the surface of Lake Michigan in 2007, leading to speculation that the Lake Michigan Triangle is hiding North America’s own version of Stonehenge. The discovery was made by Mark Holley, a professor of underwater archeology from Northwestern Michigan College. The site features a forty-foot ring of ancient stones found nearly fifty feet below the surface. One of the stones was even carved to look like a mastodon, an ice-age mammal that went extinct nearly 10,000 years ago.